The kingdom of Faldoa has thrived under its new queen. Euphoria has changed the land, yet evil lies in wait. During a mission to dispose of the last pieces of the magic mirror, she is attacked by a dark elf assassin using a mysterious box. Taylon, her captain of the Royal Guard is able to fight off the assailant, but not before damage is done to the queen. Deep in the Territories, a strange prophecy comes forth from the elves, and Council Member Gantha is sent on a mission to find a wizard of races. Little does he know that this little foretelling speaks of resurrection of pure evil. Taylon, with the help of a local medicine woman, seeks out a cure for the queen’s sickness in the far reaches of the kingdom, while the pieces of the magic mirror cause their own havoc. Euphoria’s dark, chocolate-brown hair flew wildly in the wind as the horse freely galloped beneath her. She held back a laugh, enjoying the ride, trying to let her emotions regarding the kiss go. But they would not be suppressed. The horse jumped a fallen log, jostling her thinking into disarray. The feelings alone of being alive again were extraordinary. But at what price? Her true husband was dead centuries ago. I am queen. A vibrant, beautiful woman. But even with all of that, Rose felt that something was missing. Sure she was attracting handsome young men, in a different time, in a different land, posing as someone else. As happy as she was, sadness rooted deep within. Taylon knew the truth, of course. They had been through the wraith ordeal together. And they were even closer now. She felt their attraction, and she wanted it. But was she betraying Guilaud? Her horse swiftly took the corner and a tree brushed her shoulder. Thoughts scattered again. Taylon pulled up beside her as the trail widened. “Next town is only a little farther. We can stop there.” He flashed a smile. It soothed her worried mind. One moment Taylon was there, and the next only his horse. Euphoria brought back the reigns. Her horse neighed, threw its head back in retort but quickly heeded the command. Taylon lay in the dirt clutching his shoulder, a crossbow bolt protruding. But those were the only two words she could muster before a scream filled her head. A piercing wail, shattering active thought. Suddenly, pain flooded her body. Fire, burning, scorching agony ripped through her heart. Her own voice echoed the scream. A force jerked her out of her saddle and she fell to the hard-packed ground. Her eyes wildly danced about, unable to focus through the tears. She heard Taylon, but another torturous scream erupted from within her. Something like needles traveled through her skin, poking and tearing. She swung her arm up, expecting to see cuts, blood, but there was only dirt and pain. Euphoria thrashed, arms and legs splaying out at all angles, trying to shake away the pain. Chaos convoluted her senses, a taste of something foul, putrid; an aroma of burning wood, and an obnoxious odor filled her nose. Above her, sky and forest blended into one. 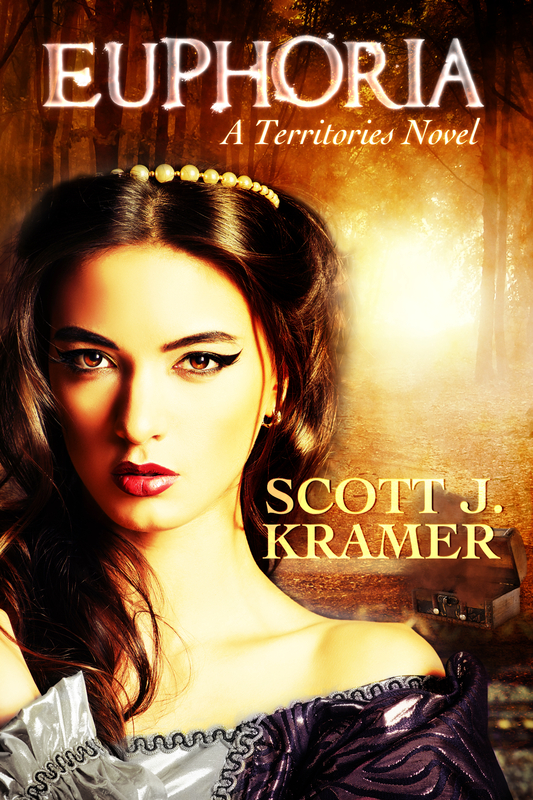 “Euphoria!” Taylon was over her, his brow creased, and his eyes roaming erratically over her. In a second between bursts of agony, she locked eyes with him, pleading. She heard someone laugh from the trees. “What have you…?” But the rest was lost as her own banshee cry drowned all else out. Death would be a terrific release for her. Seconds, minutes, maybe hours passed as she released her pain through tears and screams. Why? Who? When? All were questions that briefly formed before they were shattered, lost. As suddenly as it’d begun, it stopped. Swords clashed near her, but Euphoria barely registered it. Every cell throbbed and waited, anticipating the next wave of pain. Her mouth hung open, ready to scream. But nothing came. For a moment, Euphoria thought the pain was back and she had yelled. But it wasn’t her. Turning her head, black spots danced about her eyes. The cry stopped and now someone yelled words. To her? Was it Taylon? And he appeared at her side, fresh blood dripping from a cut on his cheek. She looked up, trying to answer him. The dark spots grew and she felt herself slipping away. She wanted to say thank you, and even I’m sorry. She wanted to say so many things, yet her mouth wouldn’t respond. Her eyes closed as the darkness took her. Ever since Scott’s mother denied naming him Scott Fitzgerald Kramer, writing has been in his blood. He watched his grandfather use an old-fashioned typewriter to compose memories about his grandmother. Finding out quickly that typewriters didn’t like him, Scott began carrying a scrap of paper and a pencil. Word processing changed his fate. Scott lives in Cincinnati with his beautiful wife and two adorable little girls. 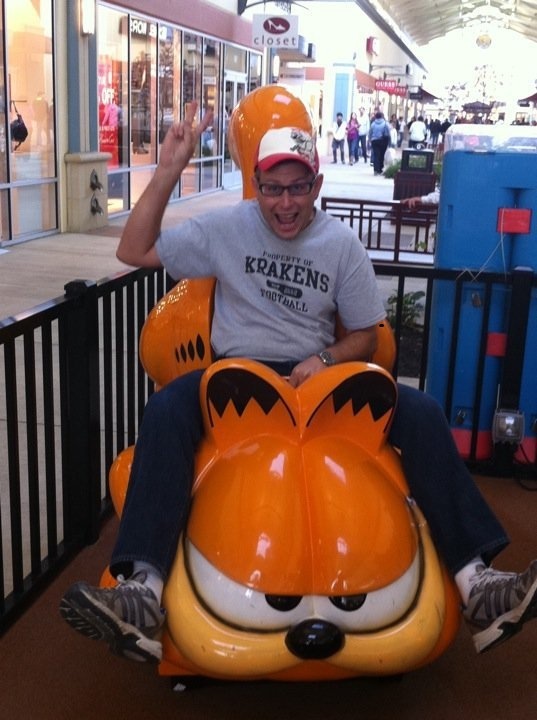 During the day, Scott as Mr. Kramer terrorizes sixth grade students, forcing them to read and write. Slowly, they come to realize that reading is fun and writing is something they have to do to pass his class. 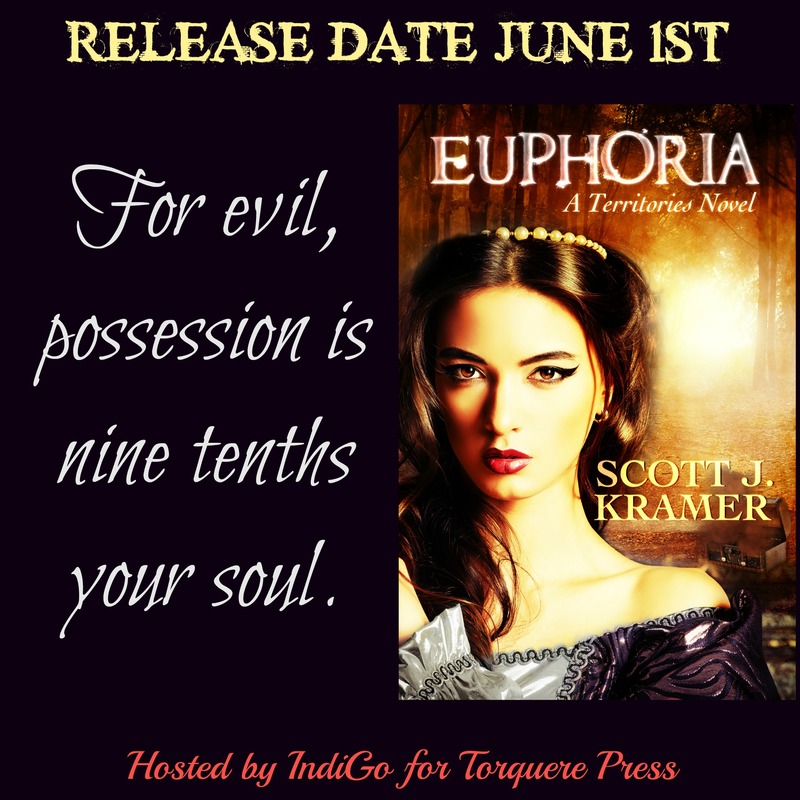 Euphoria is Scott’s second novel in the Territory Series. Soon the conclusion Taylon will be published. The first book is Kara.